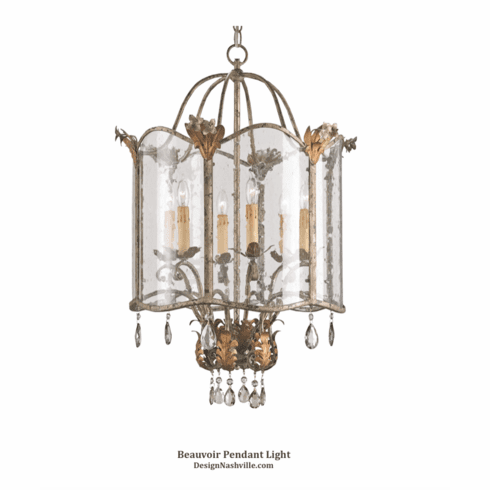 Delightfully trendy yet elegantly French, the Beauvoir Pendant features faceted smoke crystals dangling from an exquisitely crafted wrought iron frame finished in Viejo Gold and Silver. Lovely seeded glass panels accentuate the rich, antique feeling of the piece. Enjoy complimentary shipping of this elegant piece! Pricing is marked at the lowest allowed of an authorized dealer every day.